Batman: Contingency Plan This is a 1/4 commision (WIP) that was inspired by the awesome Mark Waid story JLA: Tower of Babel and also the animated film (JLA: Doom) that it spawned. 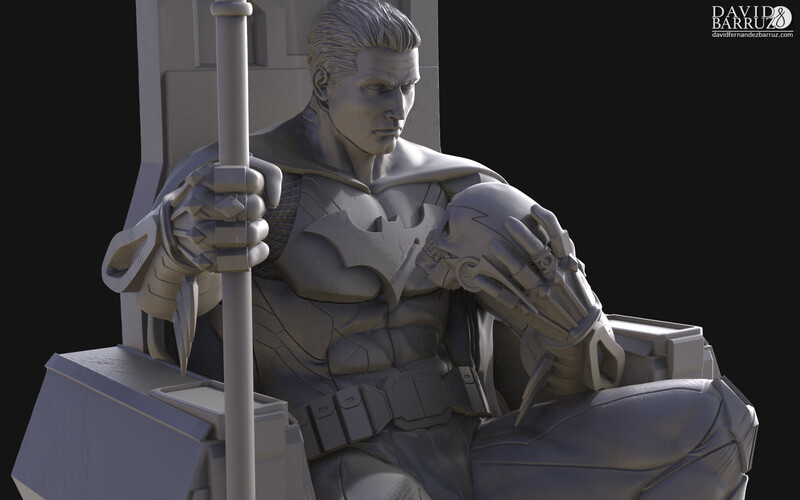 The idea behind this piece is that Batman has had to face his peers and he has come out triumphant, sitting amongst trophies from the rest of the JLA. This piece will also feature swap out arms and portraits.